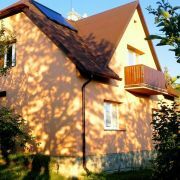 Two newly built cottages - apartments offer comfortable and elegant accommodation in a beautiful quiet location … More » in the heart of Beskidy Mountains. 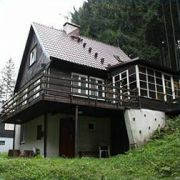 This is an accommodation in two cottages - apartments. Both cottages are identical, equally equipped. 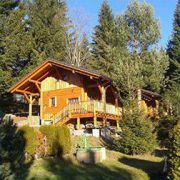 Completely reconstructed cottage 5+1 offers a peaceful environment for quiet holiday for up to 10 persons. The … More » garden is an oasis of relaxation - grill, sandbox and swings for children. Ideal place also for active winter holidays. Ski lifts are only 15 min. away. 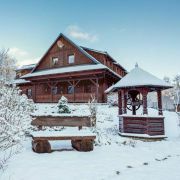 Reconstructed cottage for 10 persons located next to the ski slope at the foot of Lysa Mountain. Heating by fireplace … More » or electricity. All rooms are accessible from inside the cottage. Cottage uses its own well with drinking water.